A few hours ago the Progress MS-9 spacecraft blasted off atop a Soyuz 2.1a rocket from the Baikonur Cosmodrome in Kazakhstan. After about nine minutes it successfully separated from the rocket’s last stage and was placed on its ultra-fast track in its resupply mission to the International Space Station also called Progress 70 or 70P. 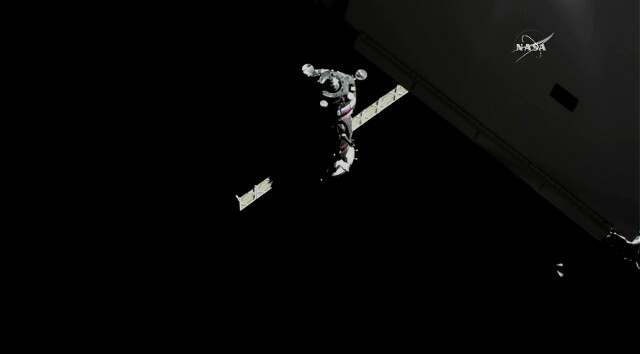 After less than 4 hours it reached the International Space Station docking with its Pirs module. A little while ago the Soyuz MS-09 spacecraft, which blasted off about two days ago from the Baikonur Cosmodrome in Kazakhstan, has reached the International Space Station carrying three new crew members. The astronauts Serena Auñón-Chancellor of NASA and Alexander Gerst of ESA and the cosmonaut Sergey Prokopyev of Roscosmos now complete the Expedition 55 crew. 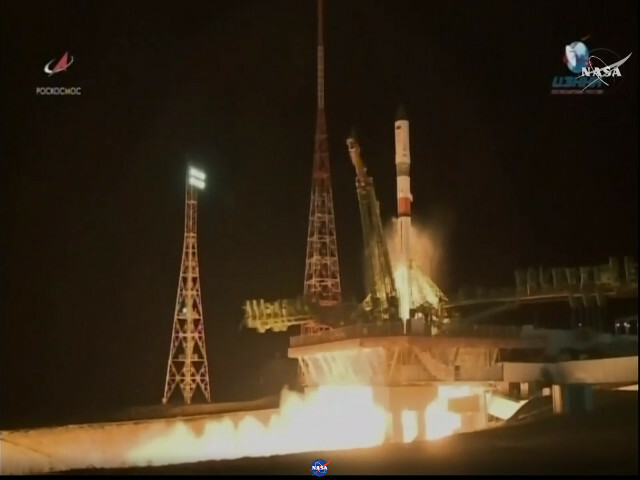 A little while ago the Soyuz MS-09 spacecraft blasted off from the Baikonur Cosmodrome in Kazakhstan with aboard the three new crew members Serena Auñón-Chancellor, Sergey Prokopyev and Alexander Gerst to be transported to the International Space Station carrying three new crew members. 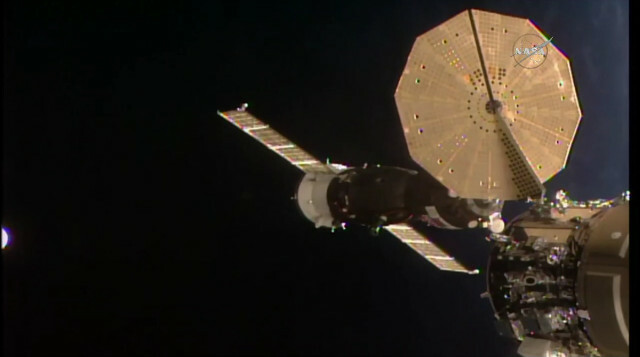 The Soyuz traveled on the 2-day path. A little while while ago the astronauts Scott Tingle and Norishige Kanai and the cosmonaut Anton Shkaplerov returned to Earth on the Soyuz MS-07 spacecraft, that landed without problems in Kazakhstan. The three of them spent almost 6 months on the International Space Station, where they arrived on December 19, 2017 as part of Expedition 54. A little while ago the Soyuz MS-08 spacecraft, which blasted off about two days ago from the Baikonur Cosmodrome in Kazakhstan, has reached the International Space Station carrying three new crew members. The astronauts Drew Feustel and Ricky Arnold of NASA and the cosmonaut Oleg Artemyev of Roscosmos now complete the Expedition 55 crew.